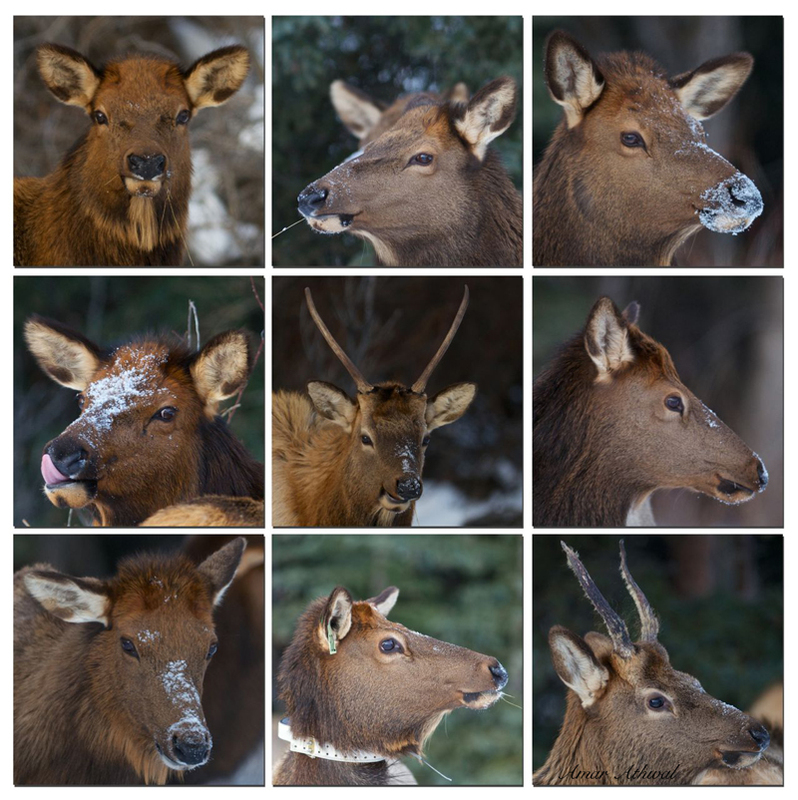 There were perhaps close to 100 elk, most females with few one year old and younger males. I wanted to get a group shot, but they were spread out in the open, and scattered amount the shrubs and trees. So I decided to do some portrait shots.